The Honor View 20 has been fully announced in China (as the V20) and it’s going to be one of the very first phones of 2019… but it’s packing more firsts than that. It’ll have a 6.3-inch ‘All-View’ display and there’s a 48MP camera on the rear, with a Kirin 980 CPU inside and a new, eye-catching display on the rear. We’ll also be adding to this article as soon as we hear anything new, so make sure to check back regularly if it’s a phone that you think is worthy of a place in your pocket. 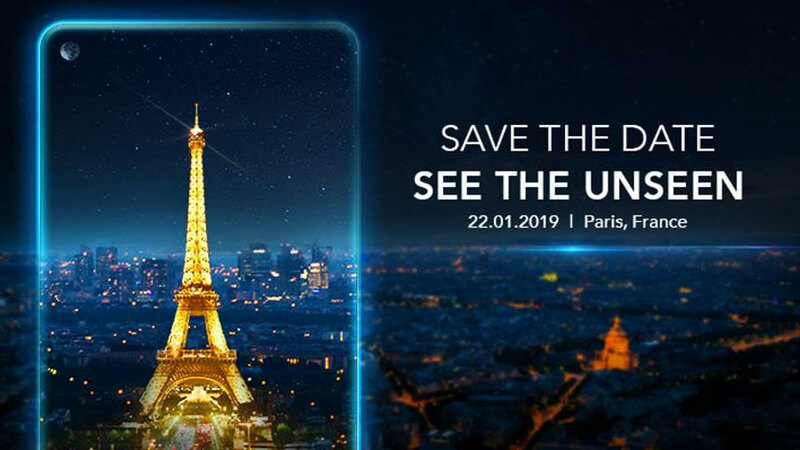 The Honor View 20 is set to be announced officially for the worldwide market on January 22, as Honor has sent out invites for a launch event on that date. However, it’s already been shown off on in China as the Honor V20 at an event on January 26. Even before the conformation, we were pretty sure this was going to be the View 20. After all, the Honor View 10 was announced in December 2017 then went on sale in January 2018. As for what it will cost, there’s no news there, but it’s likely to cost at least as much as the Honor View 10, which launched for £449 (around $580, AU$800). 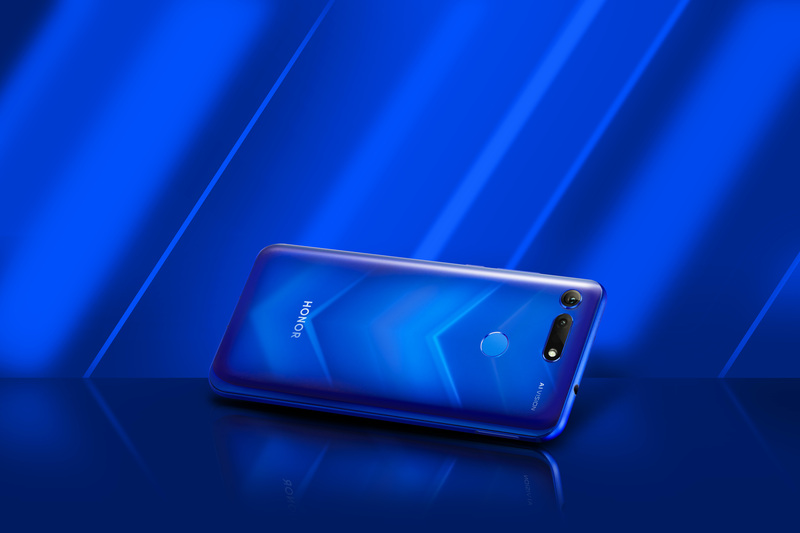 As mentioned, the Honor View 20 has a 6.3-inch all-screen front with a pinhole camera in the top-right of the screen. It also has minimal bezels all around the handset, and is a darn sight cleaner-looking than phones with a notch. It’s packing a 2310 x 1080 pixel mix, and it’s an LCD option too, in order to allow for the pinhole camera in the front. That’s been built into the layers of the phone’s display itself, which would be tougher with OLED technology. 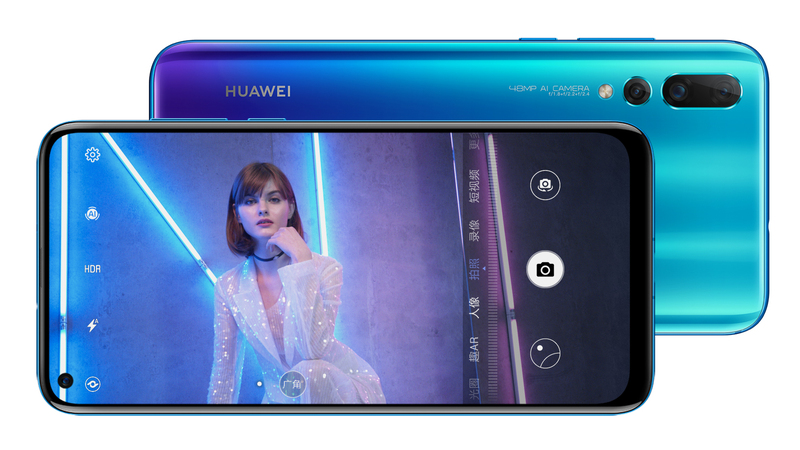 Huawei is Honor’s parent company, and the two do share a lot in terms of technology and design – so the recently-launched Huawei Nova 4 looks similar too to the Honor View 20. It’s not the highest-resolution out there, nor is it using the most innovative screen technology for the display – but the lack of notch is certainly striking and going to turn some heads. The rear of the phone has the same ‘cracked light’ design as previous models, but instead of distorting all over the place it’s slipping downwards in a kind of flying V formation, complete with neon too. It’s something of a head-turner, which is necessary when the front of the phone is over 91% screen. However, the bad news for the clumsy: the Honor View 20 isn’t water resistant to the IP67or IP68 levels of its flagship rivals – so best avoid swimming with this one. We now know that the rear of the Honor View 20 is going to have a large sensor: the biggest out there at 48MP. That’s huge, and comes thanks to work from Sony to push the boundaries of what’s possible with the sensor and that many pixels inside. Do we need a 48MP camera? The Nokia 808 Pureview was the last phone to break the barrier at 41MP, all the way back in 2012. Since then, only Huawei has come close to this number, with the 40MP in the recent P20 Pro, which made up the three camera array. However, Honor has gone one step further by bringing the 48MP camera – using the 1/2-inch Sony IMX586 sensor unveiled earlier this year, one we’ve been waiting to see which brand would blink first and put it in its phone – which it claims can take ‘top quality images’… a lofty claim with a camera offering that many megapixels. Whether it’ll be the first to market remains to be seen though, with Xiaomi claiming to be bringing a 48MP camera on a smartphone in January. The thing with the smartphone sensor is that it’s not the same as a DSLR: the space for the technology is pretty small, so there’s a smaller space for the light to hit. The more megapixels packed in the, the less light can hit the sensor. It you think of every pixel as a window that needs a frame, and that frame can’t capture light, you’ll see that more frames are going to make it hard to get a bright, clear image. That’s why we’ve seen a drop in the megapixel arms race of late: smartphone manufacturers have stuck at around 12-16MP, as this is seen as the ‘sweet spot’ of size of sensor, enough megapixels to take a sharp image and enough space to capture great low light snaps. The low light question is the one that Honor is going to have to answer here – the images it showed to highlight the prowess of the sensor are all rather brightly-lit, so only if the 48MP sensor can perform as well in darker conditions will it be judged a great snapper. Sony, the maker of the sensor, claims to have put together some pretty advanced technology to help improve the output of the camera, despite the pixels being around half the size of those in a 12MP camera. 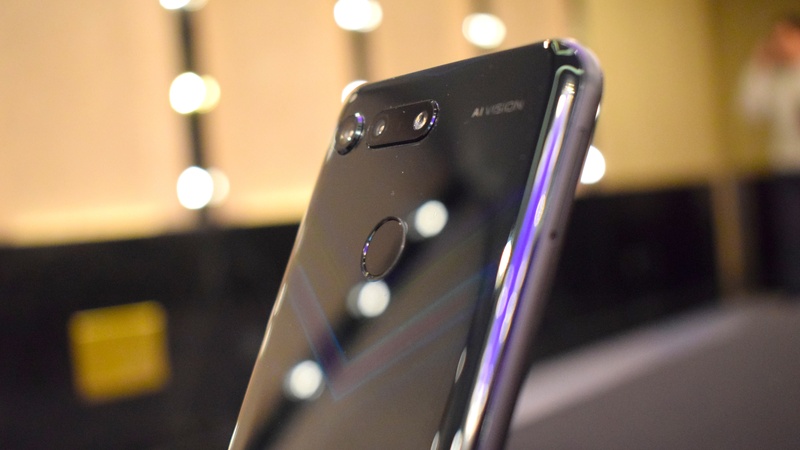 However, there is reason to believe that this might well be the case, as parent company Huawei has made great strides in adding in strong image recognition into its smartphones, meaning it can take multiple exposures and scene types and work out the best possible image from them, leading to the Huawei Mate 20 Pro being dubbed one of the best camera phones on the market. 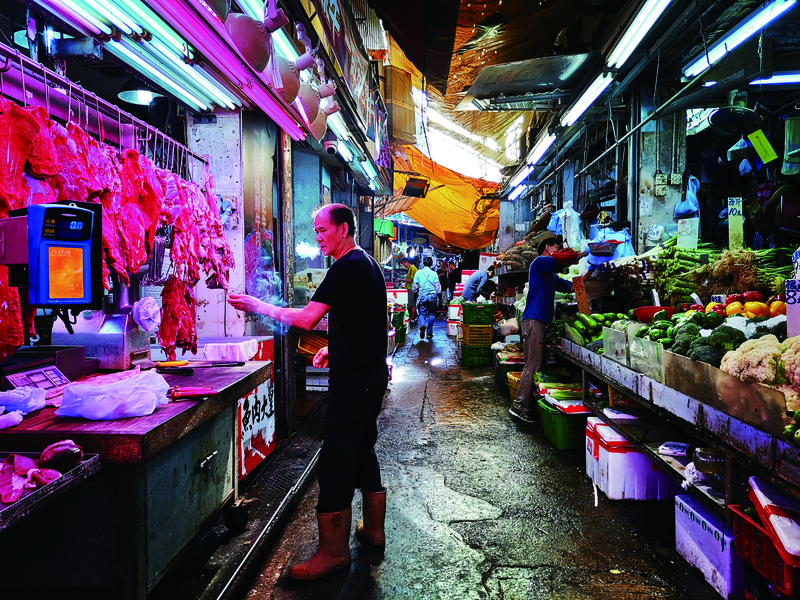 Other brands, like Apple and Google, are using image processing to improve the quality of the image, so if Honor has managed to create a way to monitor and enhance its snaps, the promise of top quality and incredibly sharp images could well come to pass. The rear of the phone also has a Time of Flight (TOF) sensor, which allows users to scan an object, such as a cuddly toy and see it come to life. It’ll also allow for more depth-of-field tracking in real time, but we’ve yet to really see what plans Honor has for this, if any. The front-facing camera is a 25MP affair, which is going to give you some sharp selfies – although whether, again, they’re any good in low light remains to be seen. We’ll be seeing a 4,000mAh battery inside this phone too, in order to give it some real juice over the course of a day or two. That’s up from the 3,750mAh of the Honor View 10 in 2017. We’ve previously heard it’ll have super-fast charging up to 40W – a certification from a Chinese body, noted by GSMArena, says it will support 22.5W charging too, but that’s yet to be confirmed. Honor has confirmed that the Honor View 20 has an octa-core Kirin 980 chipset. That’s the chipset you’ll find in the likes of the Huawei Mate 20 and Huawei Mate 20 Pro. 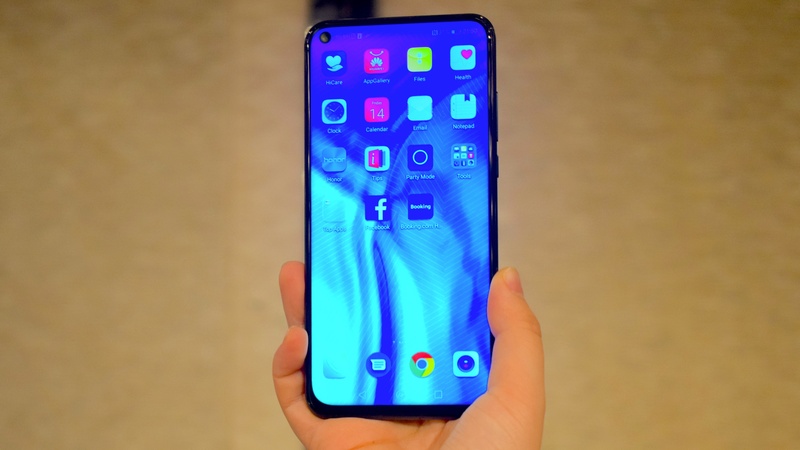 It’s also likely to be used in the Huawei P30 range, so it’s top-end. It’ll be bringing between 6GB and 8GB of RAM, along with either 128GB or 256GB of internal storage – which is pretty impressive given we’re expecting something of a lower price still for this handset. As for the operating system, it’s running Android 9 Pie, and it’s got a forked version of Huawei’s EMUI interface on top – this is Magic UI, which is basically just an AI-infused version of the software. That said, YoYo (the AI assistant) is only for China right now, so the rest of the world might end up getting EMUI once more. 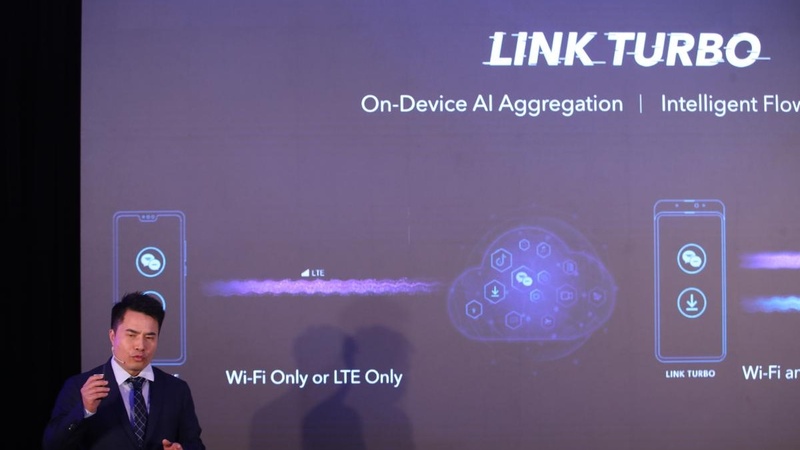 The other tech that Honor is talking up to use in the View 20 is its new Link Turbo system, which uses 4G and Wi-Fi connections together to provide the fastest possible download speeds for users. This is nothing new, as for years we’ve had phones capable of combining the two connections, but Honor is claiming that it’ll use artificial intelligence to work out when and how to switch or combine the download options to provide the fastest speed. This will include analyzing a user’s behavior, as well as the standard monitoring of network speeds, to bring the speediest downloads possible, although it’s hard to see how knowing what a user is doing could do much to boost the speeds if WiFi and 4G is already being combined. The tech is going to be used in the View 20, but also coming to the Magic 2 as well – although for some reason not all the features are going to be used.